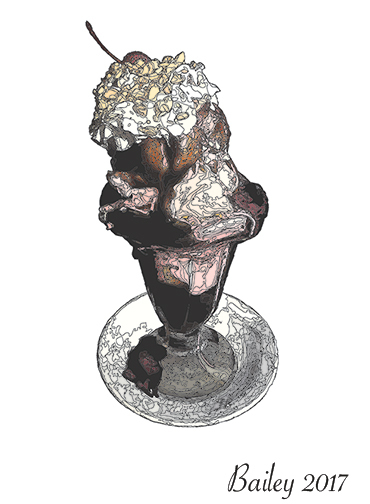 to have a hot fudge sundae with peppermint ice-cream. Sadly the last two years, they’ve had no peppermint ice-cream! when I search the local supermarkets. rather than the myths of things many people want returned. Things that never actually existed. that all but a few (relatively speaking) of us would wish for. But this year, I do have hope. beginning to see that it does, indeed, take a village. Seeing that there are always options and alternatives. that we have the potential to evolve in a positive direction. weigh too heavily on me. To all my dear friends, students and family! One of the methods used by image recognition algorithms is to “see” things by noting patterns in an image. This can be very effective, but can also create challenges. In the tea animation here, watch how the AI software sees the numerous roses in the bouquet, and, making a note of that rose pattern, then assumes there must be other roses in the image – when there are not! So, the end of the folded napkin becomes a rose. Rose patterns are seen in the blank back wall. And even the lavender bouquet decoration on the tea pot becomes a rose! While this might make an interesting surrealist work of art, we certainly would not want our autonomous car seeing roses where, in fact, there is a dog, or other vehicle, or fallen tree – or nothing! Years ago I visited painter Friedensreich Hundertwasser in his Venice (Italy) studio. I was surprised to see canvases lining the walls in all sorts of styles – not just the colorful spiral and raindrop paintings he was well known for at the time. This marketing identity demand bleeds over to all art forms: too often writers, filmmakers, composers, songwriters – all creators – are pressured to create in one style and stick to it. 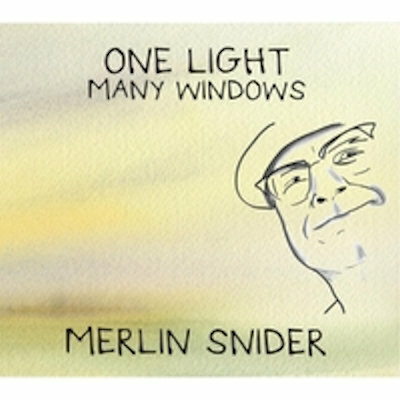 When Merlin and I first chatted about his new album, One Light Many Windows, our conversation began with his expressed concern about the diversity of song styles on this his third CD. But Merlin has transcended the need to write folk music in one style with a traditional song structure. That transcendence is who Merlin is. And we can be thankful that he has the courage to display his many canvases. “I think that good music is at once familiar and original,” he shared with me. As long as Merlin writes music, he will continue to move his audiences into new musical realms – and we will travel with him safely and happily. With One Light Many Windows, Merlin has built a musical safe-house for his fans. A sanctuary from which we all can commune, looking inward and outward through the mirrored views and communal vistas of his windows. Fresh Dirt is a reflective window, from which Merlin the builder shares the wonder of turning a shovelful of dirt into a place to shelter us from the storm, a place where one day tears and laughter will make the place a home. And Merlin the poet follows his house as shelter with an ironic metaphor: what’s to shelter us from the storm inside? One window, Cold Rain, calls us to feel our world, like the cold rain pounding on our nerves, and to witness, in sacred Thoreau-like fashion, the poem of creation. Another window, Fly Away Sail Away, finds us singing along, stomping our feet and clapping our hands as we peer out at all the people who leave to find their home, and acknowledge that, indeed, everybody wants to feel at home. Near Merlin’s musical home rooftop is a window of Memory. It looks over everything that has come and gone before. The listener at that window may find herself weeping at first listen, and experiencing the greatest of joy the next time around on the dance floor with it. The song is a waltz. Merlin shares that some of his favorite writers, Tom Waits, Paul Simon, and the early Randy Newman, have the ability to be both melancholic and joyful, sentimental without resorting to saccharin. He admits it is a difficult trick to pull off, but something he strives for. With Memory, he accomplishes it to the moon and back. “Can I forgive?” (Sea of Forgetfulness). “Can I get out of myself and create something that allows others to see and laugh at themselves, ourselves, together?” (Procrastination Blues). Each of Merlin’s songs reveals a fresh perspective on transcendent possibility. This is true of his previous albums as well. And it is the key to why those of us who have discovered his music relish it, and flock to commune with him and each other at his concerts. Merlin’s musical home encourages us to come together to reflect, grieve, share, laugh at our foibles, forgive, throw off our regrets, love, be with our true feelings and then cast them aside to dance, sing and celebrate in the warmth and safety of our oneness. One song deserves special note, and that is Abraham’s Light. We are transported to Lincoln’s era with a masterful arrangement that includes only instruments that existed during Abraham Lincoln’s time. Our eras are especially bridged with the consistent sound of cornet horns and a marching drum beat throughout. 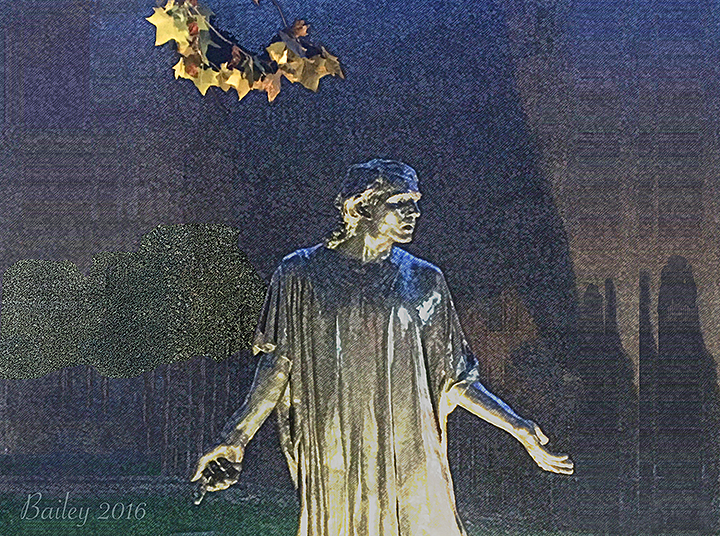 And with lyrics that bridge generations: a hateful virus is multiplied, I say bounce it back with Abraham’s Light.